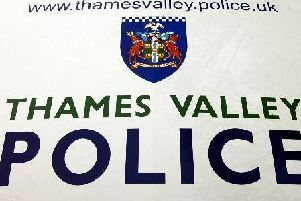 Police are investigating after four separate burglary incidents were reported in the village of Stewkley between March 2 and 4. The first incident took place overnight between Friday March 2 and Saturday March 3 when a resident in High Street North saw footprints in the snow and discovered that their garage door was open. Their porch had also been entered, but nothing has been stolen (crime reference 43180065869). Between Friday 2 and Sunday 4 the passenger window of a black Seat car parked in High Street North was smashed and an iPhone charger and Bluetooth accessory were stolen (ref 43180066533). A white Vauxhall van parked in the same street had its passenger window smashed overnight between Saturday 3 and Sunday 4, but nothing was stolen (ref 43180066508). A black Citroen van was then broken into on Dove Street at around 1.15am on Sunday 4. The owner heard the alarm sound and a vehicle sped off but nothing had been stolen (ref 43180066465). Police are urging the public to remain vigilant and make sure anyone acting suspiciously is reported to the police on 101.